We are proud to announce the names of our 2019 season REP Coaches….. 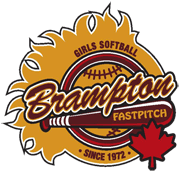 The Brampton Blazers are recognized across Canada for the development of players and the competitiveness of ourteams. We regularly have multiple teams participating in Provincial and National championships and our teams travel to some of the top tournaments in North America. The 2019 Blazers consist of a Gold and a Burgundy team in every division from Mite to Midget. The Gold team is made up of our most skilled players in their respective age brackets (predominantly second year players). Our Burgundy teams play league games in Peel, Halton, with an even greater focus on development. Open tryouts are held each year and only the best players are selected. Players from our Houseleague and Select Programs are invited and we have had great success in adding numerous players each year from these levels.